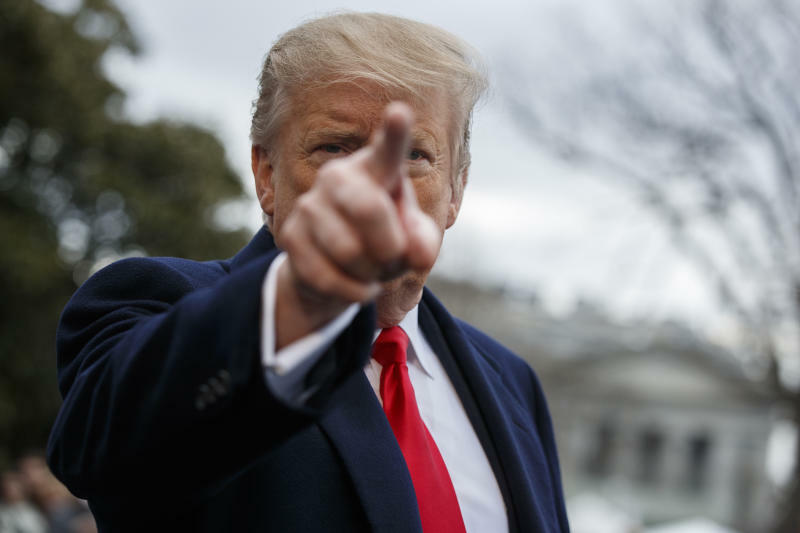 WASHINGTON (AP) -- President Donald Trump said Friday that he will nominate Stephen Moore, a conservative economic analyst and frequent critic of the Federal Reserve, to fill a vacancy on the Fed's seven-member board. Moore, interviewed Friday on Bloomberg television after Trump's announcement, said his criticism of the Fed, including his suggestion that Powell should perhaps be fired, were "probably written in a time of anger." "I think everyone would now acknowledge," Moore added, "that what they did in December with the rate increase was a very substantial mistake. And the Fed has, thank God, reversed that and changed directions." Asked whether Trump might want him on the Fed's board to check Powell's influence and protect the administration's economic policies, Moore said, "The only thing (Trump) told me was, pursue policies that are good for the American workers. ... He didn't really mention anything about differing with Chairman Powell one way or the other." Scott Sumner, the chair of monetary policy at George Mason University's Mercatus Center, said his concern is that Moore accused the Fed of providing too much aid after the 2008 financial crisis, when the economy depended on help from the central bank. Moore has since urged the Fed to be more generous in supporting the economy, even though growth has strengthened in the past two years and less help is needed.